ST. GEORGE — The Desert Hills High School swim team won both the boys and girls Region 9 championships Friday and Saturday at the Sand Hollow Aquatics Center. 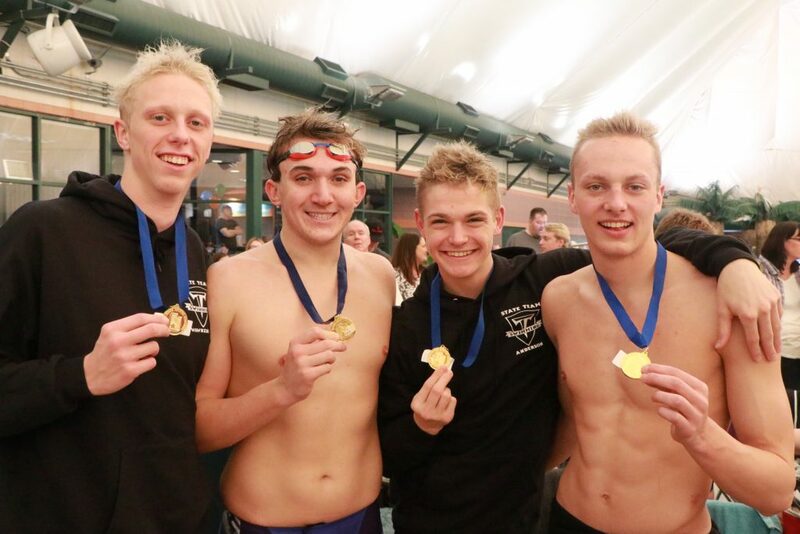 The most astounding performance of the weekend came midway through Saturday’s events, when Desert Hills shattered the overall state record in the boys 200-yard freestyle relay by more than 1.5 seconds. 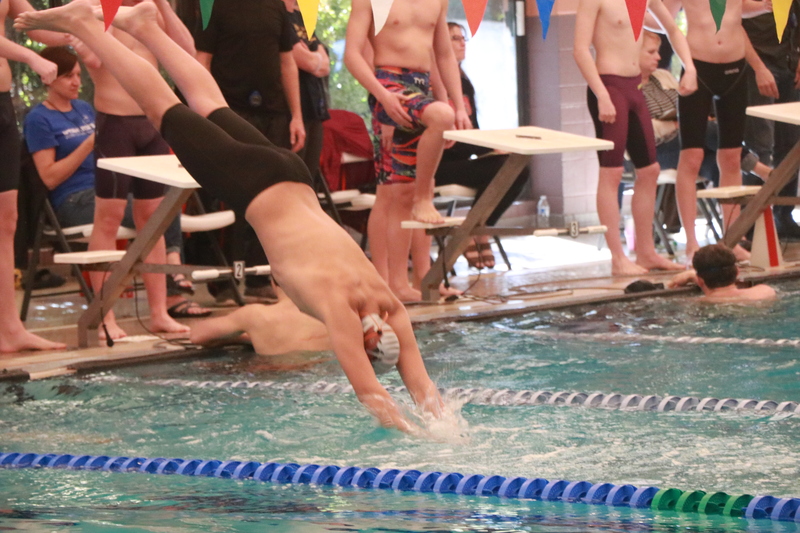 In that event, Payton Plumb swam the initial 50-yard leg in a blistering 21.32 seconds, after which Christian Rettie followed with a 21.41, then Ashton Anderson with a 20.96 and anchor Keegan Wawrzyniak with a time of 20.74 for a total net time of 1:24.43. That time eclipsed the former all-classification Utah state record of 1:25.95, set by 5A’s West Jordan High in 2008. It was also slightly more than two seconds better than the Thunder’s previous 4A state record of 1:26.46, set on Nov. 2, 2018. The same four boys, swimming in a different order, also established a new state 4A record in the 200-yard medley relay Friday night. In that event, Plumb, Wawrzyniak, Anderson and Rettie won with a time of 1:35.66, beating their own record of 1:36.92, also set during the season opening meet on Nov. 1, 2018. 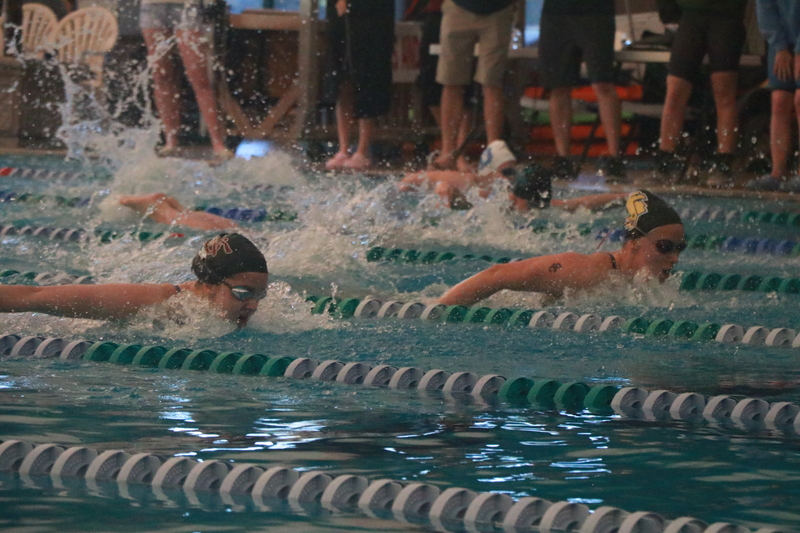 Individually, Anderson and Wawrzyniak had also tied for first place overall in the 50-yard freestyle race with identical times of 21.91 seconds Friday night. They swam even faster during Saturday’s relay, as did both Plumb and Rettie. 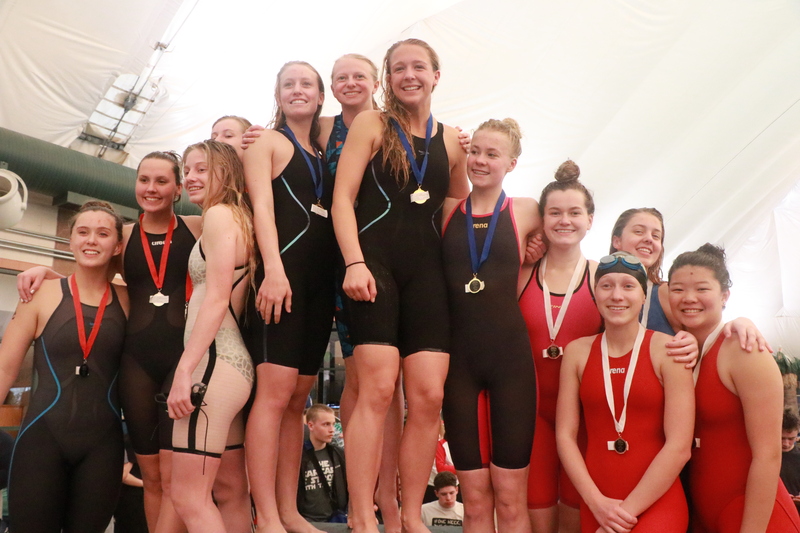 The Desert Hills girls also set a new state record in the 200 medley relay on Friday, with the Lady Thunder’s Caitlin Romprey, Madison Dunlavy, Sarah Hansen and Trinity Schimbeck combining for a time of 1:49.02, or 3 hundredths of a second faster than the previous 4A record of 1:49.05, set by Park City in 2018. 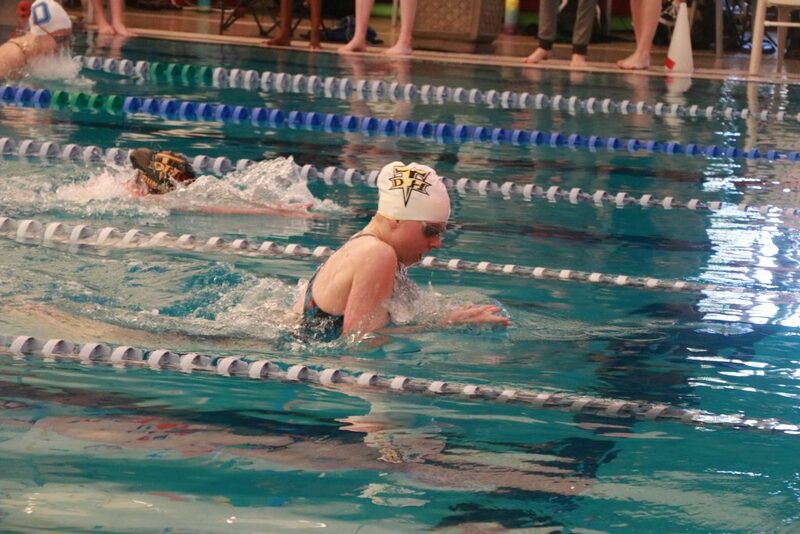 In a touching moment during the same 200 medley relay on Friday, the Pine View Lady Panthers competed without senior Erynn Swinson, who suffered a serious head injury in a car accident Jan. 13. Swinson was still in the hospital Friday night but was able to watch the race via live video streaming as her teammates competed in the event, her mother Yvonne Swinson told St. George News. Fellow senior Shelby Cabana took over Swinson’s butterfly leg, and Adrina Daley stepped up to join Sydney Cabana and Kyleigh Messinger in posting a time of 1:59.68, good enough for fourth place overall behind Desert Hills, Snow Canyon and Cedar. Yvonne Swinson added that her daughter Erynn made it home from the hospital Saturday afternoon and is continuing to recover from a skull fracture and traumatic brain injury. 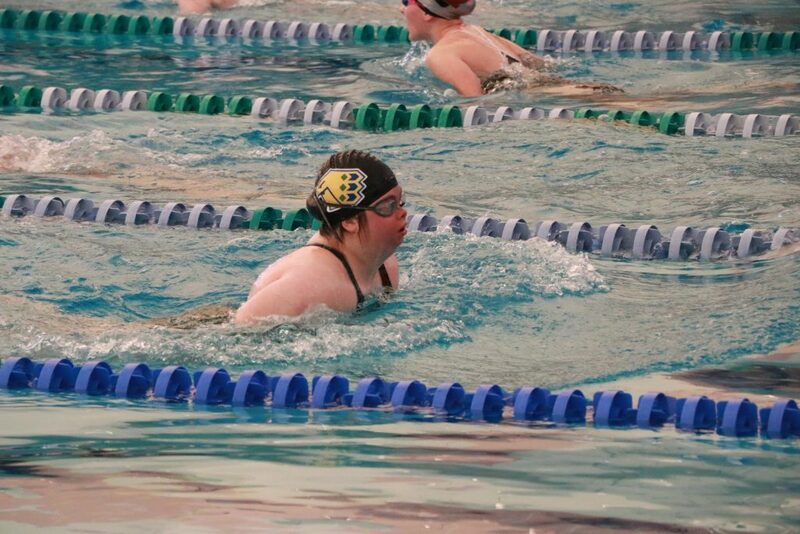 Erynn Swinson said she appreciates the positive messages of support she has received from her fellow swimmers, including those from other schools, her mother reported. 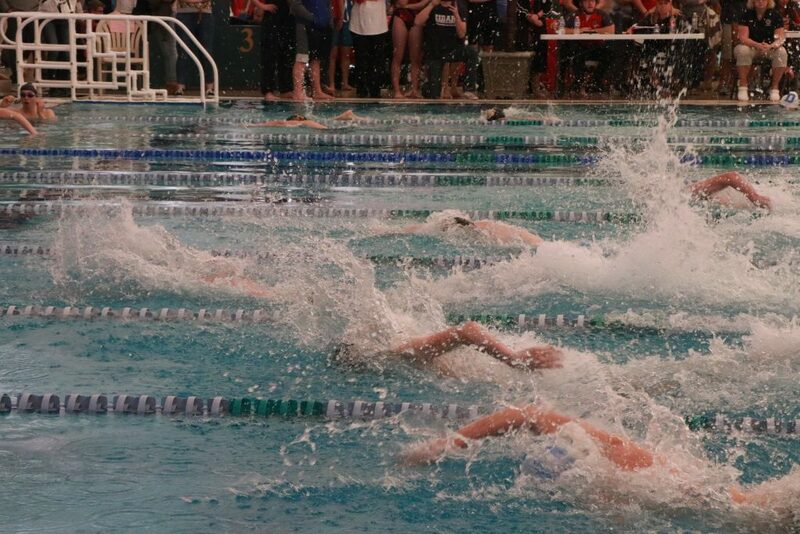 All seven Region 9 schools competed in the region championship meet, with dozens of swimmers battling for one last chance to qualify for the upcoming state meet, scheduled for Feb. 8-9 at Brigham Young University in Provo. 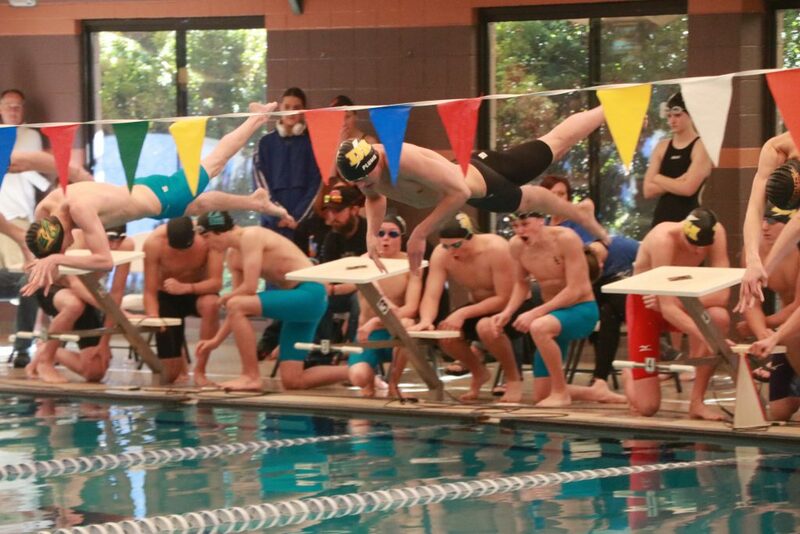 The Desert Hills boys will be aiming to defend their state title, while the Lady Thunder are hoping to improve on their third-place finish at state last year. For Pine View, Shelby Cabana is actually Sophomore and her sister Sydney Cabana is a Senior.